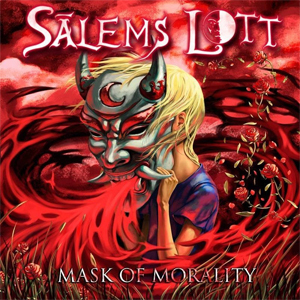 SALEMS LOTT Reveal Music Video For "You Can't Hide From The Beast Inside"
Hollywood-based visual hard rock front runners SALEMS LOTT have released a new video for the track "You Can't Hide From The Beast Inside" from their album Mask Of Morality. With the recent release of part one of their new two-part album series, Mask Of Morality, the band delved into socially-conscious themes on individualism, values, morality and current politics. Check out the brand new music video for “You Can't Hide From The Beast Inside” on KNAC.COM right HERE. Directed by Ian Moore and produced by UWOWI, the video features an original interpretation of a cult classic originally featured in the classic Horror film Fright Night. The video depicts the dangers of succumbing to darker temptations in contrast to sublimating and accepting those same "beastly" aspects of humanity and channeling them into creativity.